Are You Maximizing Your Destination's USP? Home > Insights > Are You Leveraging (or Over-Leveraging) Your Destination’s USP? With the tourism industry responsible for $1.6 trillion in bookings in 2017, it’s no secret that standing out in a world of hungry competitors can be a daunting task. So, what is it about your destination or attraction that separates it from the rest? That’s where your unique selling proposition (USP) comes into play. It defines your position in the marketplace and helps you own that space. 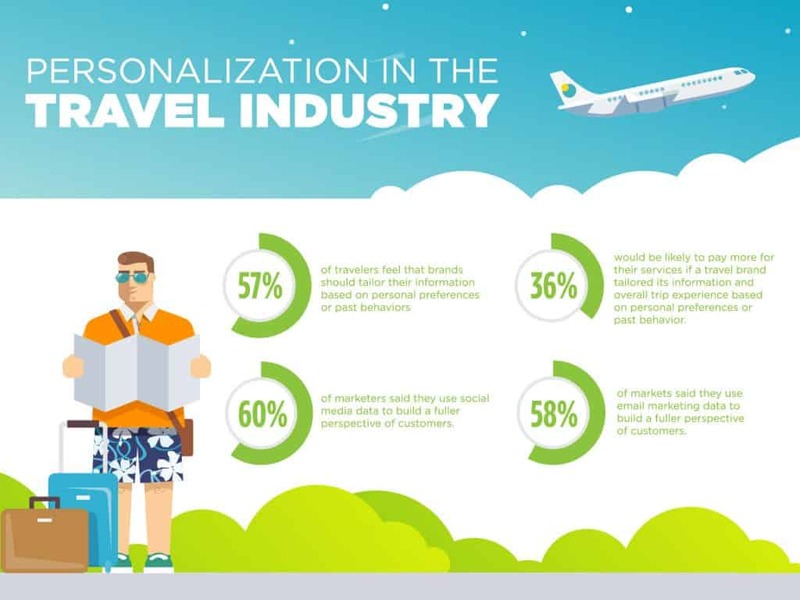 But your USP is only as effective as the relevance it brings to your target travelers. If your target travelers are not interested in what you’re offering, then it’s time to reevaluate your USP. Your USP should also stay true to the qualities promised. Your destination’s authentic qualities should be crafted into your USP to help avoid failed expectations. An effective USP has a good grasp on who you’re targeting, the motive of your services and how to differentiate it from your competition. But what if you aren’t sure how to make your offerings sound unique? Or you face the possibility of overbranding your USP to the point of it losing its charm? Your USP can ultimately determine the success or failure of your destination’s marketing strategy. The central focus of an USP is to strengthen your branding and marketing so that it holds a competitive advantage. And a strong brand inspires a strong personality. That personality is what helps your visitors identify and remember what your destination represents. Florida’s own Citrus County, for example, confidently holds the title of “Manatee Capital of the World” due to the large quantity of manatees that reside in their springs during the winter season. It’s also the only place in the nation where you can legally swim and interact with these sea creatures. This unique experience is enough to attract tourists from around the world, making it a successful USP for the destination. A well-made USP will reflect in your identity and logo. It should paint a canvas in your destination’s best qualities—those that drive the most traffic. And as trends shift, your USP should evolve. The Gulch, an urban neighborhood in Nashville, was once widely known for its vibrant wall murals and art scene. Now, local restaurants like Biscuit Love bring popularity to the area for a different reason—its aesthetic foods and Instagrammable marquee sign. The Gulch’s unique selling proposition has shifted from art to food. What If Your Destination Doesn’t Have a USP? If your destination is a beach, how do you stand out from neighboring beaches offering the same pristine shoreline as your own? Shine a light on one of the other experiences offered in your area. Cities like Austin, Texas have picked up on the trend of essentially making something out of nothing. Austin differentiated itself by monopolizing on the music industry. Hosting some of the biggest music festivals, like SXSW with an attendance of almost 290,000, the city saw a 37% increase in the tourism industry in just a four-year period. Discovering your brand personality can be a process in itself, but with the help of today’s data on demographic, interest, income and purchasing behavior of your visitors, you can understand how they resonate with your destination best. After you establish your brand’s personality you can incorporate it into brand messaging so that visitors identify your destination with the personality. If your destination has a strong personality, your visitors associate their travels with human characteristics like emotion. This allows them to visualize their experience before arrival solely from the way they perceive it through the branding. Falling into a popular category of sales like the tourism industry can be a blessing in disguise. More competition means more competitive data. More competitive data means discovering where your competitors fall short – and where you can step in. Piggybacking off personalization, competitive data can easily index, track and analyze competitor pricing, which helps you maintain a steady pricing strategy that will keep your visitors happy. Kayak, a fare aggregator and travel search engine, uses predictive analytic modeling with Amazon Alexa for the convenience of the traveler, but also for data collection. For example, a simple question like “Alexa, ask Kayak where I can go on vacation in November for less than $800,” can bring personalized results at your request but also gives Kayak a better understanding of common price searches. Your unique selling proposition may nurture your brand to help it grow, but it’s important to be keep in mind the potential of setbacks. If your USP is focusing on the food scene when your visitors are actually coming for the outdoor attractions, then you’re not utilizing your USP to its fullest potential. There may be a disconnect between what you think your USP is verses what your audience thinks it is, and it could be hindering potential for a bigger outreach. Stay in the know with what is drawing your target audience to your destination. 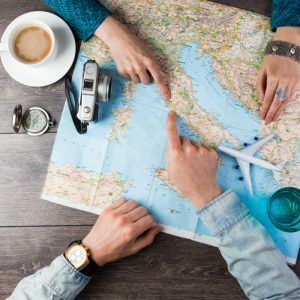 Organic content like social media is a great way to see what your visitors are advocating from their stay at your destination and can help guide you to what your USP should evolve into. Find a happy medium of focus in your USP—not too broad, not too narrow. Don’t forget to bring attention your secondary attractions. By boosting visitation to these attractions, you’re also encouraging your visitors to extend their trips to experience more of your destination. Something too narrow focused can put your other qualities in the dark and potentially weeds out visitors that don’t have an interest in the attractions or activities taking center stage in your travel marketing. As culture changes, your USP is expected to ride the wave of change with it. This can result in a short shelf life for some destinations. In other cases, natural disasters can cause a similar outcome. Attitudes towards wildlife and natural resources have changed over the years. Interactions that were once popular, such as feeding wild animals in old fashioned zoos or picking wild plants have become less appealing, or even illegal. Adjusting tours and activities to be more in keeping with a contemporary eco-tourism is a way to adjust to cultural shifts. Many “zoos” are now shifting to safari-like experiences that allow you to interact with animals directly from your car. Sometimes it’s a natural disaster that causes a short shelf life. Puerto Rico suffered devastation from hurricane Maria that effected many aspects of the island, including its tourism industry. Don’t be afraid to leverage your USP. If your brand confidently carries its unique feature, then the results will reflect it. But as illustrated above, it’s important to be cautious of the drawbacks that overleveraging a single point brings with it. Abandoning other qualities of your destination also abandons the potential audience that follows. But by acknowledging other attractions within your destination, your visitors’ experience will carry more depth as a whole. Your destination’s brand should come full circle, from your USP to all the other features that follow. And although it can be a process, the finished product holds the core of your brand.